2) The file notings show that 64 applications were received within the stipulated deadline, from across the country against the vacancy advertised in two English language (The Hindu and the Times of India) and two Hindi language newspapers (Dainik Bhaskar and Hindustan). Advertisements were not issued in any other language. Four applications were received after the lapse of the deadline. The DoPT has only disclosed the names of these applicants and withheld their applications and bio data by invoking Section 8(1)(j) of the RTI Act which seeks to exempt personal information of an individual from disclosure. About 20 pages of documents contained in the files have been withheld from disclosure in this manner. 1) Documents relating to the process for selecting candidates for appointment as Information Commissioners disclosed by the DoPT date back to May 2018. It may be remembered here that a similar process for filling up vacancies had already begun in 2016 after the retirement of two Information Commissioners.The documents released last week, indicate that the process was still alive in May 2018. After several week long back and forth discussions, the DoPT decided to call for applications afresh and closed the earlier process on the grounds that the 200+ applicants might no longer be interested or might have reached the maximum age limit for appointment. 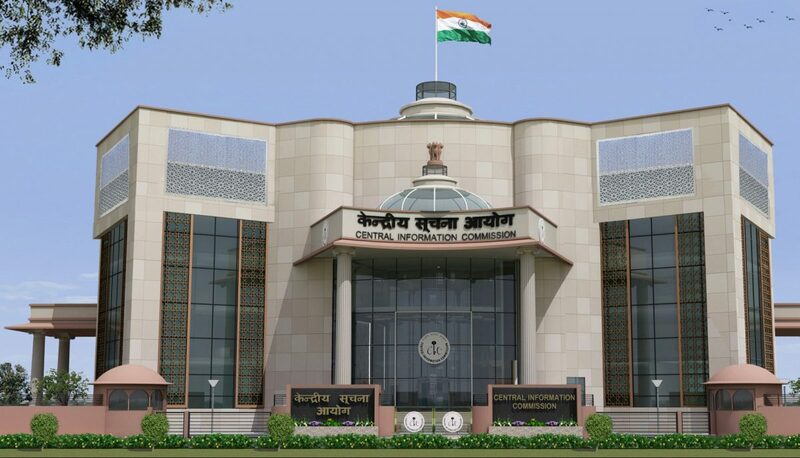 2) Fresh advertisements made for the four vacancies of Information Commissioners resulted in 281 applications being received within the stipulated deadline. 10 applications were received after the deadline. The names of these applicants indicate that at least 31 of them were women. The DoPT has refused to disclose their bio data or background by invoking Section 8(1)(j) of the RTI Act relating to personal privacy of the applicants. About 120 pages of documents contained in the files have been withheld from disclosure in this manner. On the other hand, the 140-odd pages withheld from public disclosure by the DoPT under Section 8(1)(j) of the RTI Act go to indicate that all 340+ applicants for the four vacancies might not have been found eligible. This is evidenced by the fact that the DoPT has claimed the exemption only for 140 pages of information. What criteria were applied to determine the eligibility of applicants whose applications/bio data for inclusion in the shortlisting/selection process is also not known. This is worrisome because the standards applied to reject applications from those outside the bureaucracy are themselves shrouded in secrecy. Not a single civil society candidate was shortlisted by the Search Committee. The DoPT must urgently disclose the criteria applied for vetting the applications of civil society candidates all of whom were eventually found ineligible by the Search Committee.